Toasted bread stacked with all sorts of glorious things — who doesn’t love that? When it comes to my favorite foods, I’m more of a comfort food gal myself. For me, sandwiches are up there with pizza, medium rare steaks, curry, and ramen. 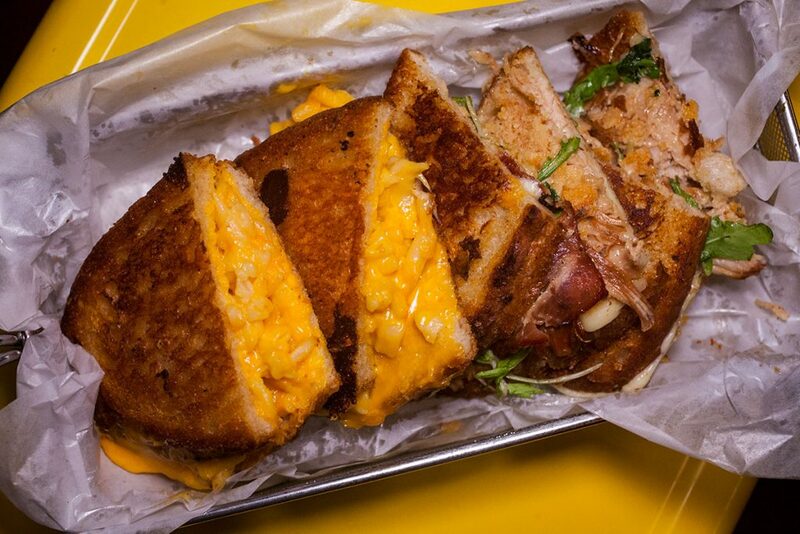 If you want a grilled cheese sandwich, look no further than Co. Cheese. Co. 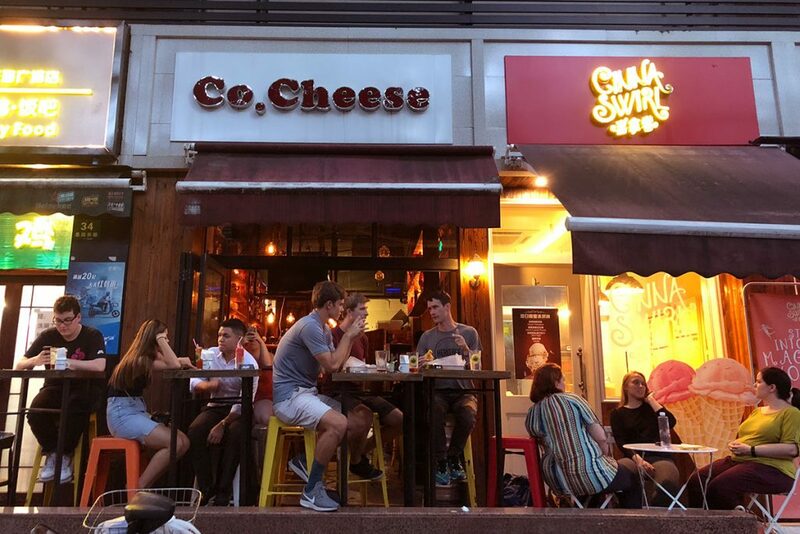 Cheese is my favorite neighborhood bar/sandwich shop, and I don’t even live in the neighborhood (Jing’an). Despite being a tiny bar on a quiet street, Co. Cheese is often seen brimming with regulars. Be it 5pm on a weekday, Friday evening, or weekend brunch time (they don’t even serve a brunch menu), people are often seen spilling out onto the cramped yet cozy terrace. It’s the brainchild of Toronto native Greg Jurksztowicz. He’s usually at the bar and he always has great tunes on play, from your favorite sing-a-long 80s rock songs to Johnny Cash and the odd pop hit. 100% cool vibes. Here, they serve 25 variations on the grilled cheese. 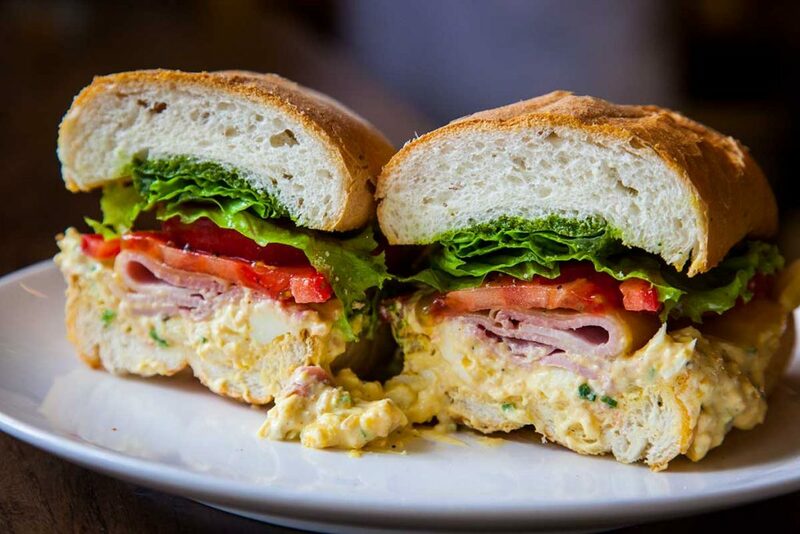 Sandwiches are made with sourdough bread, and are pressed and toasted in the cubicle of a kitchen behind the bar. As much as I am a fan, I have yet to sample the entire menu. Really, I’m looking at long-term goals here, and so should you. What they have is variety and consistency. I’ve ordered the Chicken Caesar (#20 on the menu) countless times, and that first bite has always induced the same orgasmic reaction. For carb-on-carb, go for the Kraft Mac & Cheese (#9). Other favorites include #14 Tuna Melt and #3 Duck Breast with Red Onion Marmalade. Another favorite was the Ramen Kimchi Grilled Cheese, currently not on the menu. Here’s to hoping it’ll make a comeback. If 25 grilled cheeses weren’t enough, there are hoagies, too. 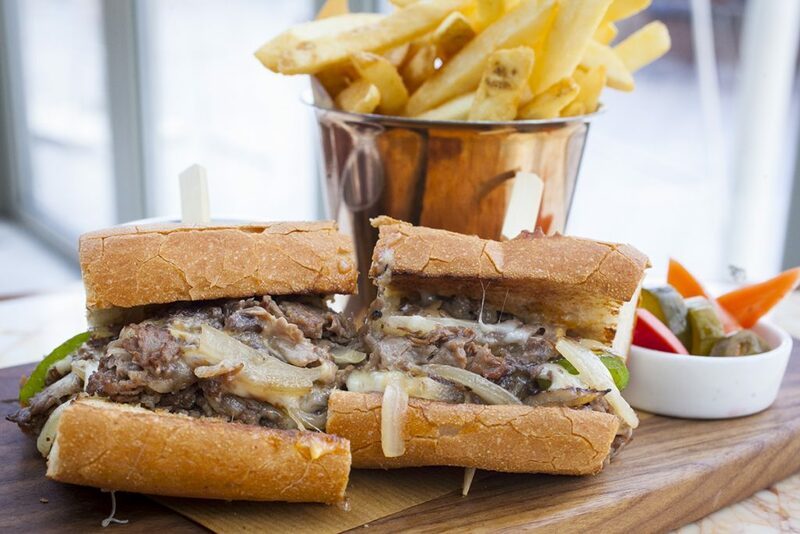 The Philly Cheesesteak (¥100) is a killer, stuffed with shaved beef, layered with provolone or American cheese. There are also soups, cereals, cheeseboards, and more. Line your stomach with a regular (¥50) or large (¥65) grilled cheese, and then proceed to down copious amounts of picklebacks. The Bloody Caesars and Bloody Marys (¥50) are also fabulously on point, garnished with olives and house-pickled chilies. 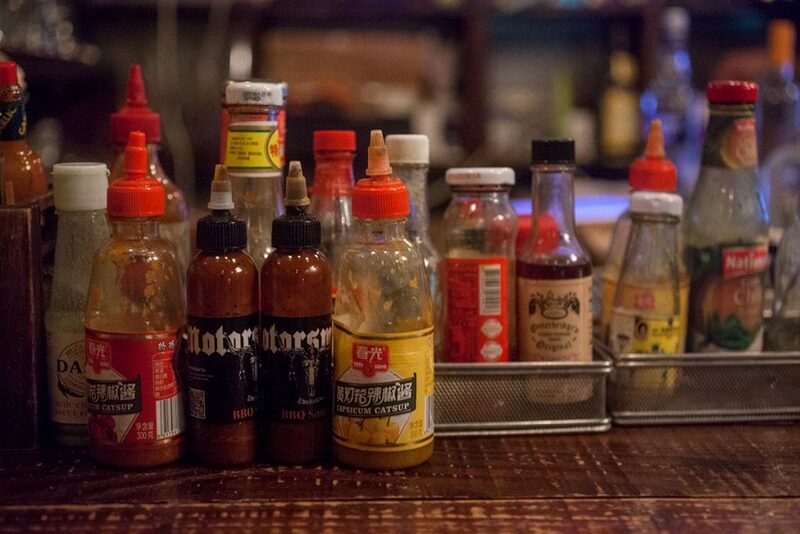 Extra points for the army of hot sauces that clutter the bar and for allowing orders of half-and-half large portions of grilled cheeses (only when they’re not busy). Co. 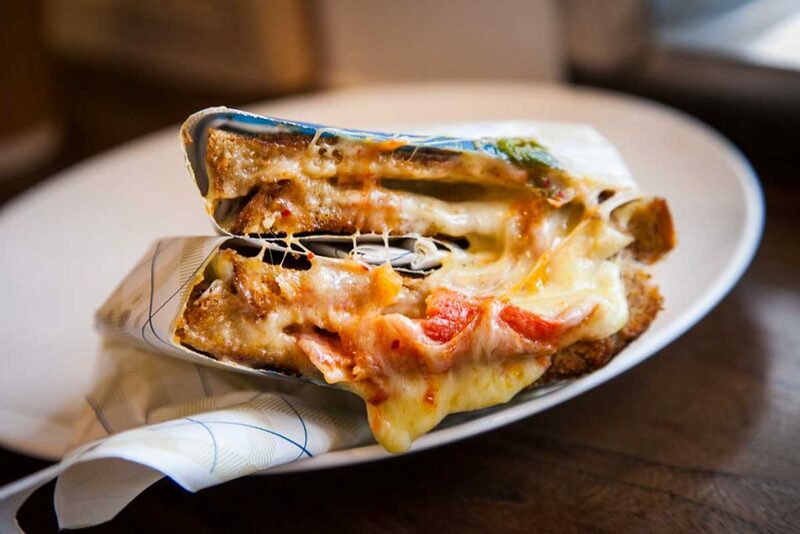 Cheese has a Monday deal: Two large cheese melts, four standard drinks, and two pickleback shots for ¥200. Partay. 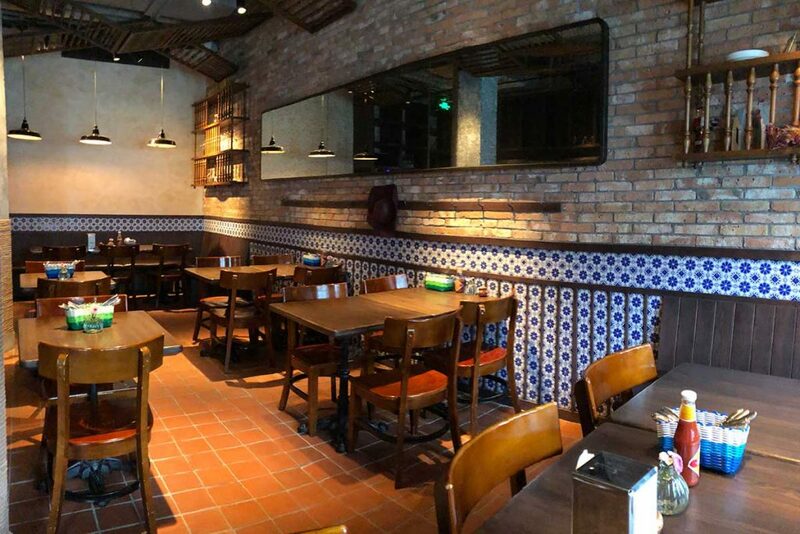 Located in the newly opened Columbia Circle in Changning District, Latin Woo is the latest from the makers of Spanish tapas restaurant Pirata. Latin Woo serves from 11am to 5pm, and shares the space with the new location of Pirata (6pm-11pm), and 6-seater omakase Hulu Sushi (entrance around the back). 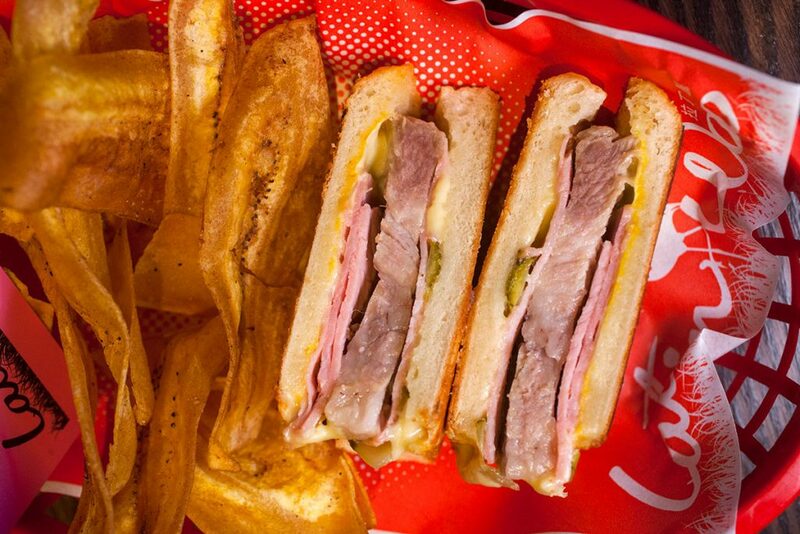 You won’t find a better Cubano (¥35/68) anywhere else in Shanghai. 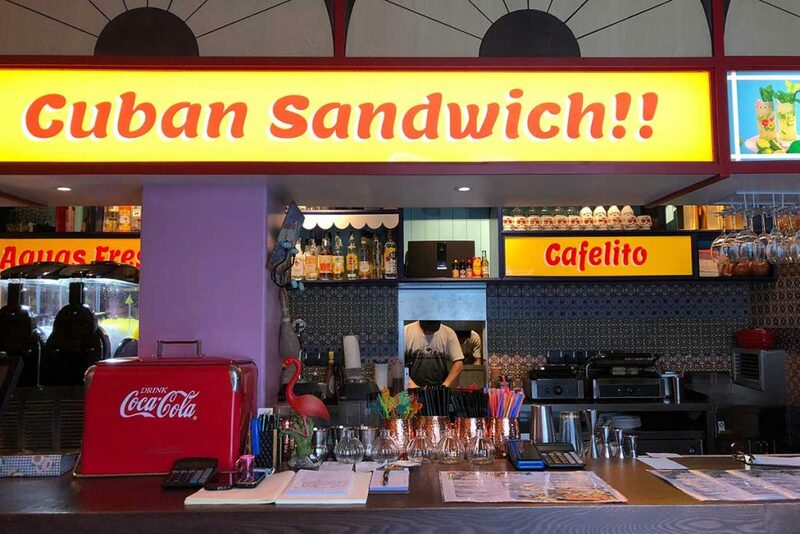 (There are few places that make Cubanos anyhow.) Latin Woo’s Cuban Sandwich has all the essential components, nothing more, nothing less: Cuban roll, sharp mustard, pickle, cheese, salty ham, and roast pork. The cutlet of pork looks thick, but it’s suitably tender and doesn’t pull when you bite into it. 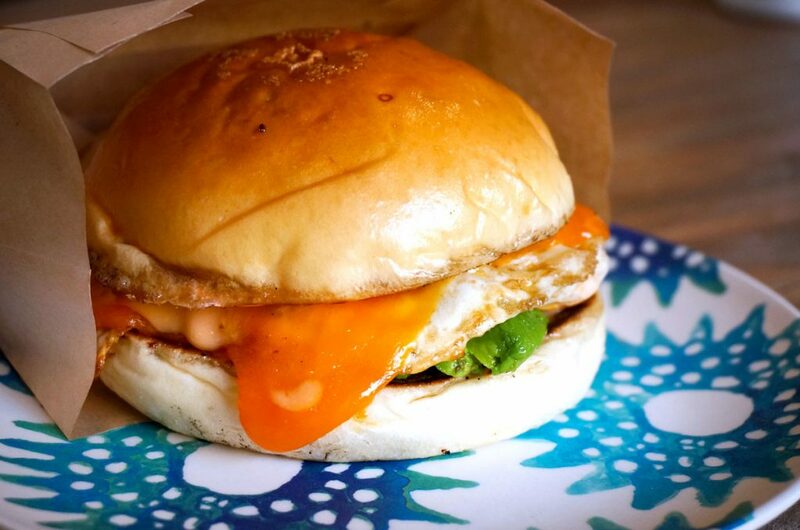 Toasty bun, melted cheese, and served with crisps or plantain chips. Sandwich #2 is the Torta Ahogada (¥65) aka the “drowned sub”. 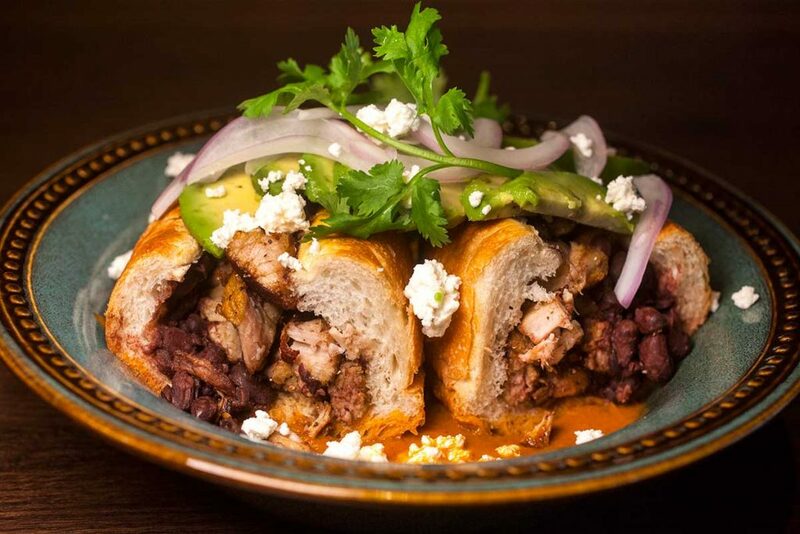 It’s a crusty bun stuffed with chunks of pork, avocado, and cheese, that sits in a spicy sauce made of chargrilled tomato, onion, garlic, and chili. It’s messy—toppings flop out as you sop up the sauce—but that’s half the fun. Highline is one of my favorite restaurants in Shanghai. Easily Top 5. It’s also my go-to brunch spot. It’s an upscale American restaurant with an expansive outdoor terrace, great playlist, and a menu that’s always rotating. Come brunch time, I usually opt for sandwiches to share in between the eggy mains. The Philly Cheesesteak (¥158) is a heart attack on a plate, but in a good way, of course. It is made with slices of M5 ribeye, roasted peppers and onions, American and provolone cheese, and is served on a toasted baguette. It’s a sadistic portion for one, an agreeable serving for two to share. Comes with fries or salad, and a tiny cup of pickles. 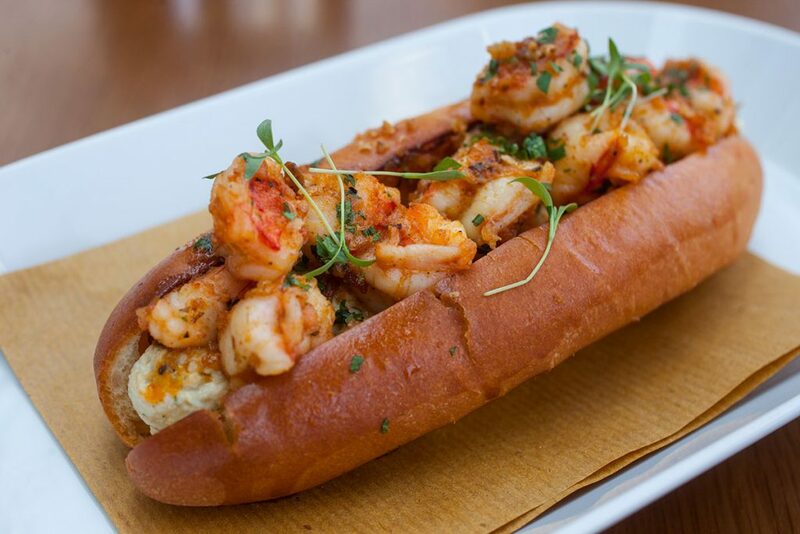 Fairly new is the Shrimp and Crab Roll (¥128), presenting a toasted milk bun overflowing with plump garlic buttered shrimp and crab egg salad. Tack on the Highline Club Sandwich (¥98) while you’re at it. 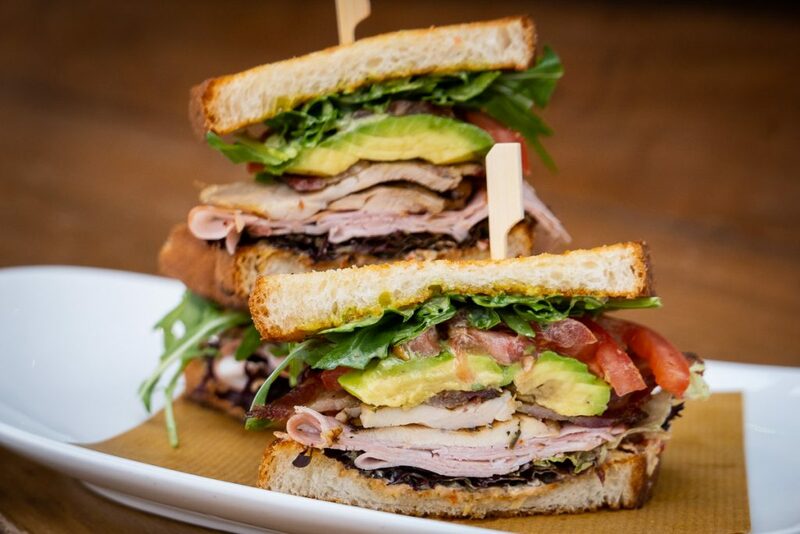 Layers of artichoke and sundried tomato spread, grilled chicken, bacon ham, avocado, tomato, and basil pesto between sourdough bread make for an epic meal. Add ¥30 for fries (yes!) and salad (moo~). 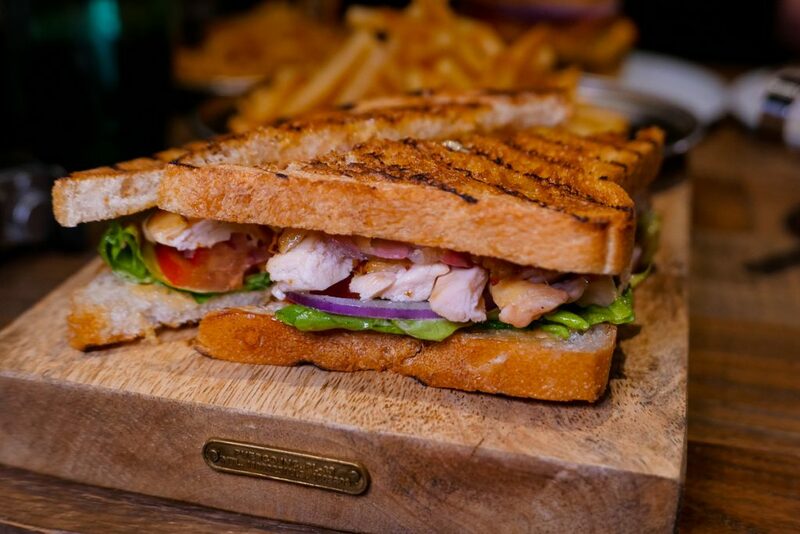 A club sandwich is a cafe staple, and Polux, Paul Pairet’s Xintiandi cafe does it to perfect. The Real Double Decker Club Sandwich (¥110) has a precise balance of micro-thin housemade crispy bacon to lettuce to tomato to chicken between toasted bread. 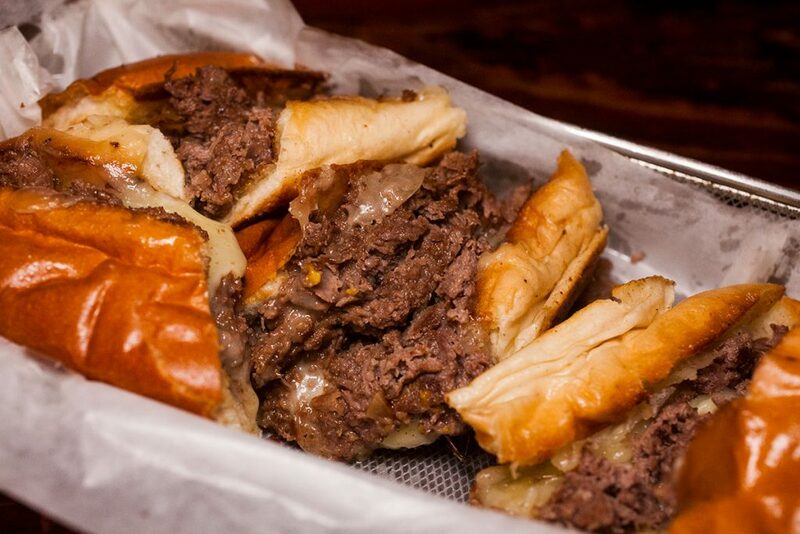 It’s juicy, holds well, and tastes like either the best or second-best Club you’ve ever had. It’s served with Hand-Cut French Fries Allumettes, which are also available a la carte for ¥50. The Charred Reuben on the brunch menu at The Cannery is bomb. Corned beef, sauerkraut, Swiss cheese, and Thousand Island dressing, grilled with butter. If there ever was an appropriate time to use the word “moist”Don’t underestimate it’s size. Brunch is ¥198 for three dishes. 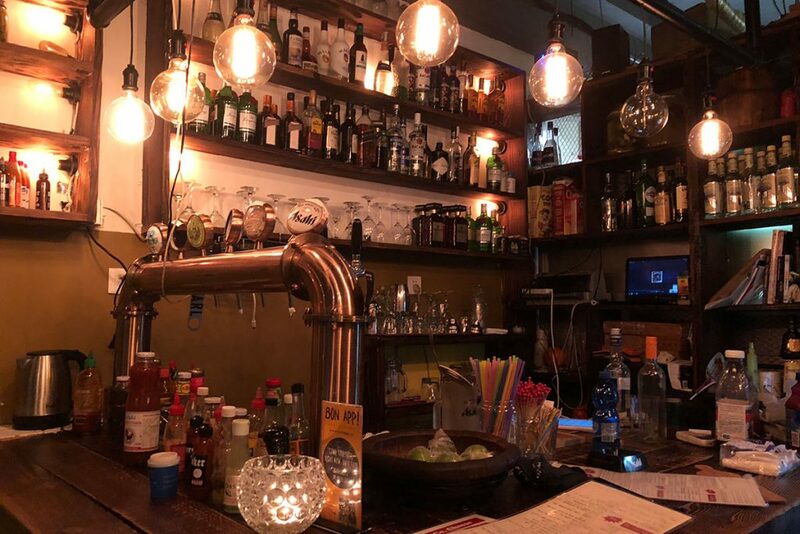 Head through to an office complex on Anfu Lu and you’ll find RAC, a café, creperie, and wine bar that has been racking up fame on social media. During peak hours, it’s impossible to get a seat without waiting. If it’s a less hectic meal you seek, go during off peak hours. In addition to the crepes and galettes, get the Avocado, Egg & Cheese (¥55) breakfast sandwich. Spread The Bagel is Shanghai’s favorite homegrown bagel brand. 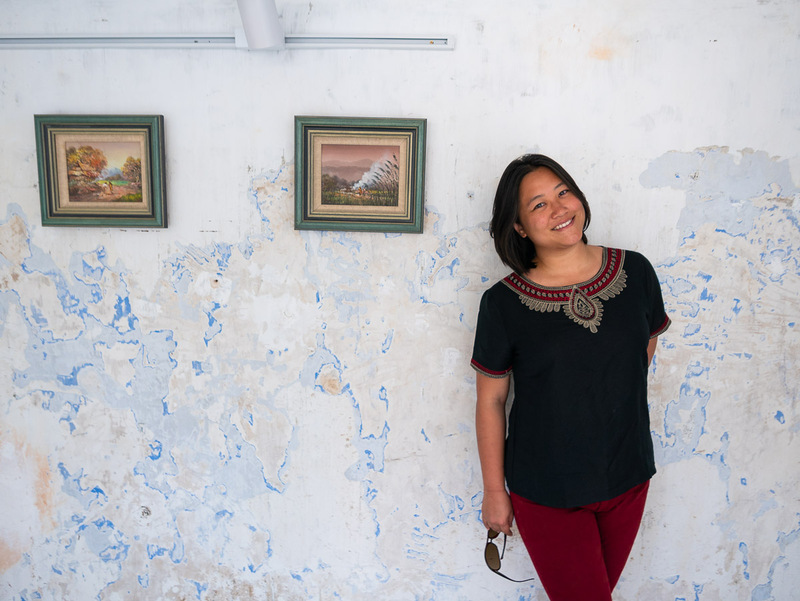 Founder Christine Asuncion started STB in 2010, vowing to perfect her recipe and to bring a taste of authentic New York bagels to Shanghai. 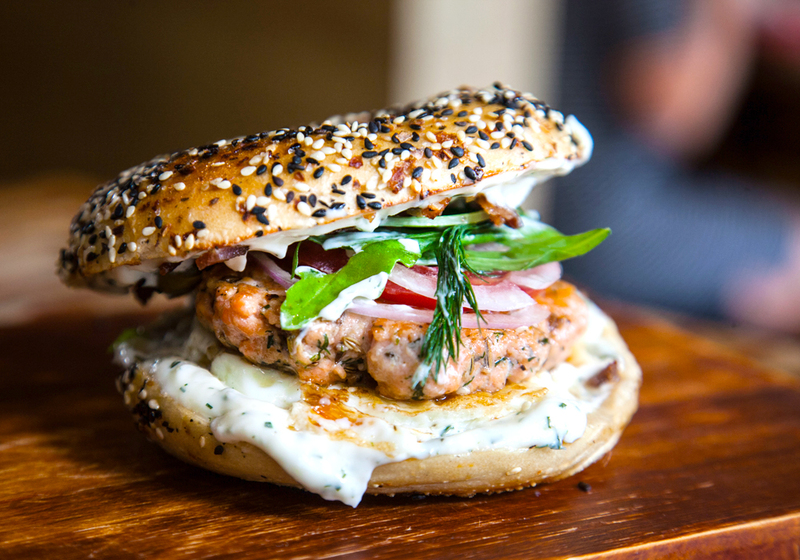 If you’re eating a bagel right now in Shanghai, chances are it came from STB. They have plenty of bagelwiches on offer, rotating topping combos seasonally. Usually served out of their Nanchang Lu store, STB has now bunked in with Al’s Diner on Xiangyang Lu until the shop gets up and running again. Still available via delivery, of course. 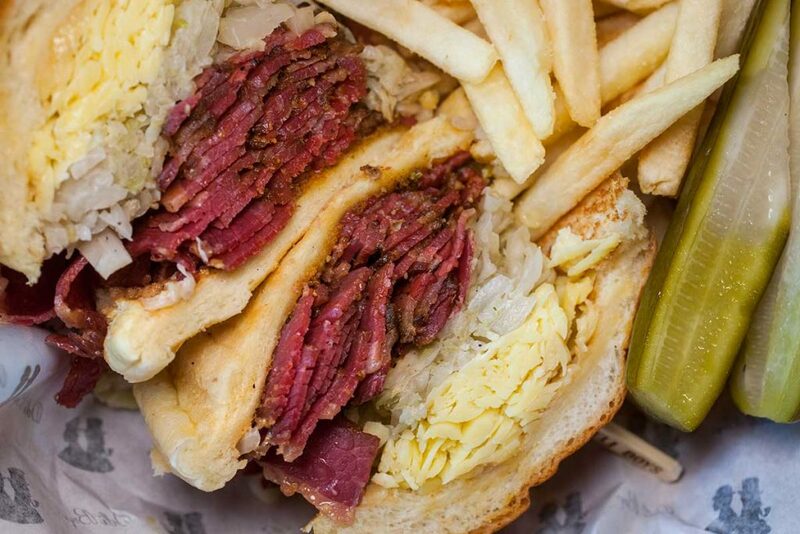 This Canadian deli was just about the only place in town where you could get Montreal-style smoked meat when it opened on Henan Lu in 2014. You can customize your sandwich by choosing lean, medium, or fatty cuts of meat. Served with skinny fries, pickles, and vinegar slaw. 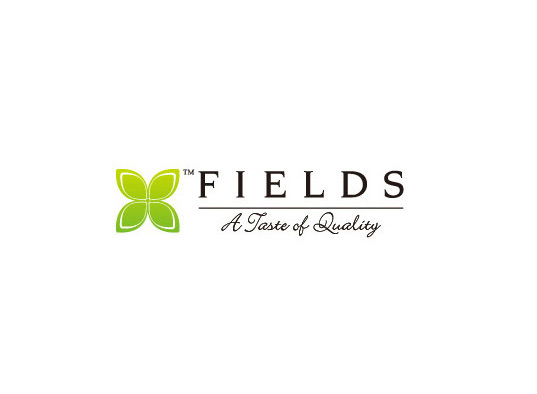 They have a new location in Feng Sheng Li, opened July 2018, where they serve addictive strips of crispy maple syrup bacon. 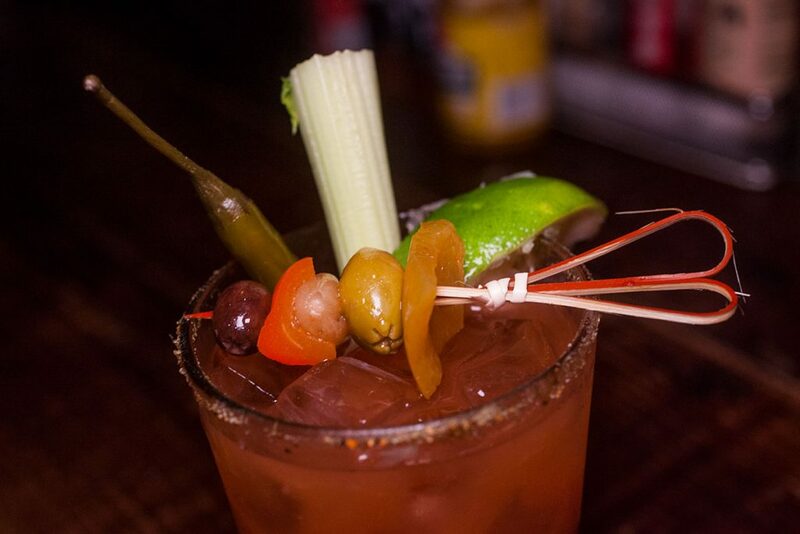 They also do great Bloody Marys, garnished with a slice of smoked meat. Outdoor seating available! Before Columbia Circle, there were few options for Western fare near the Dingxi Lu and Yan’an Lu nexus of Changning district. Deli Boys opened at the end of 2017 as a welcome addition to the neighborhood. It’s tucked away in one of the lanes down Dingxi Lu. 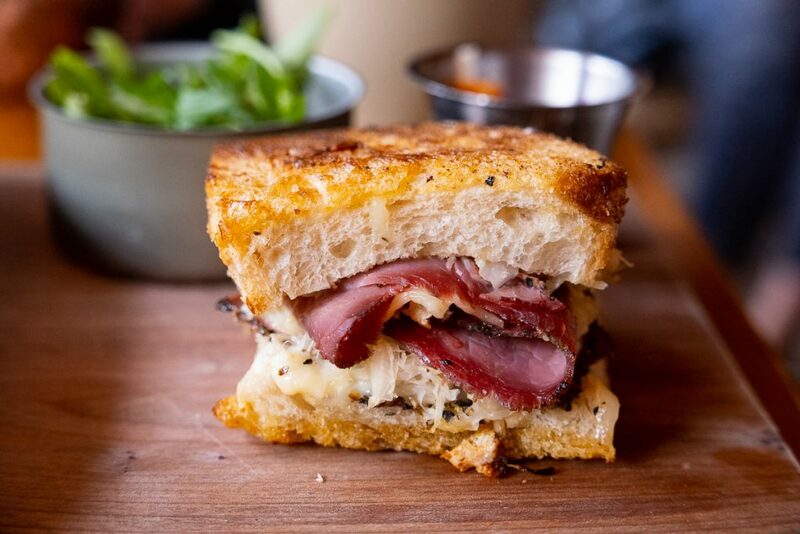 It’s worth stopping in if you’re hankering for Montreal-style brisket sandwiches. The Classic Montreal (¥73/88) or the New York Reuben (¥85) are both excellent choices. 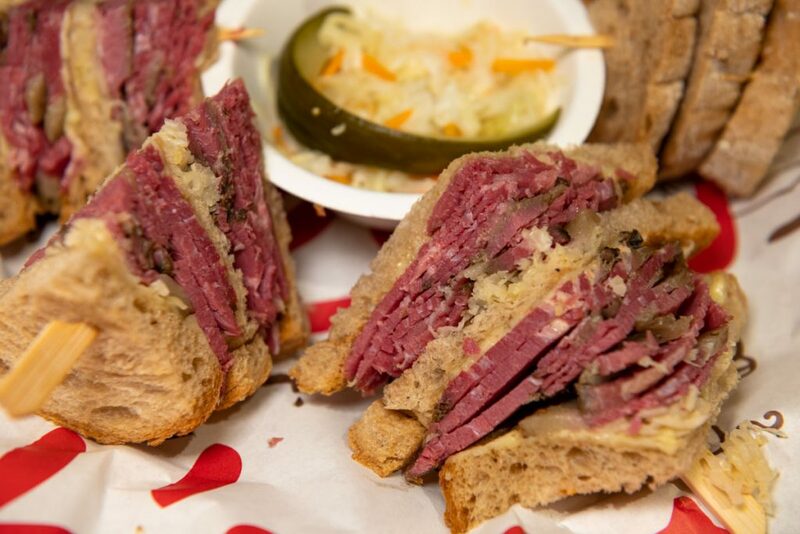 The meats are served on challah bread, a pillowy contrast to the traditional rye bread. The fries could be better, but they make up with it excellent pickles and slaw. Madison Kitchen comes by way of celebrity chef Austin Hu (Diner, Union Trading Co.). 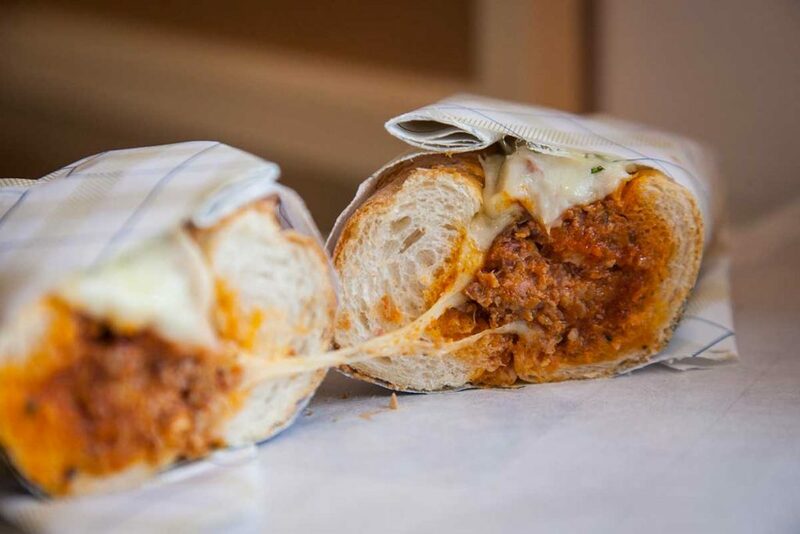 Think chunky yet refined sandwiches for an exceptionally affordable price. 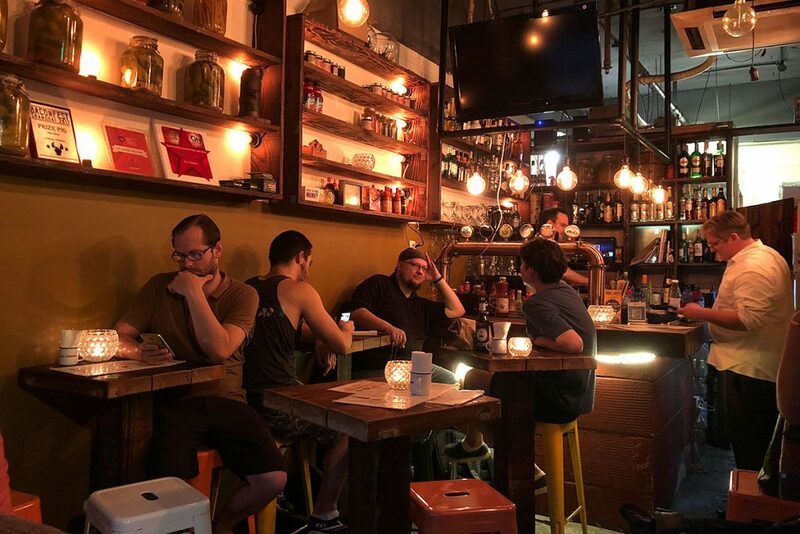 Madison Kitchen first opened on Huaihai Zhong Lu and has since had to move two more times before serving out of Pirata on Dongping Lu. This will not the last move since the lease of this location of Pirata is up at the end of the year. The sandwiches are fantastic though, so go go go. There are plenty of new sandwiches on the menu, including limited specials. From previous visits, my favorite is still the Green Eggs & Ham (¥55), made with chunky egg salad, slices of Cola-smoked ham, a heavy spread of fresh, garlicky pesto, and cheddar. The Molten Oppa Love (¥55) lives up to its name and oozes with cheesy goodness, accentuated with the zing of kimchi. Great Balls of Fire (¥55), the meatball sub, and the Big Girl (¥85) with house smoked and cured pastrami and ham are also excellent. 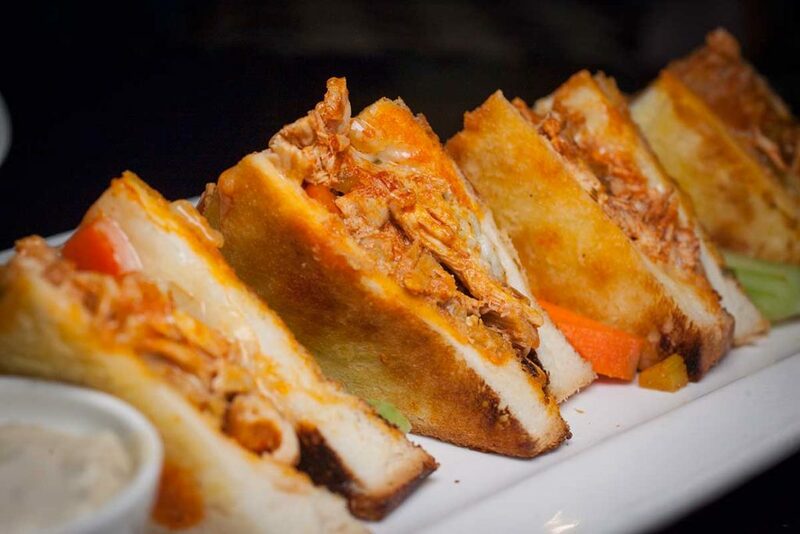 Buffalo chicken grilled cheese sandwich (¥68) with pepper-jack and Gorgonzola cheese doused in Red Hot. 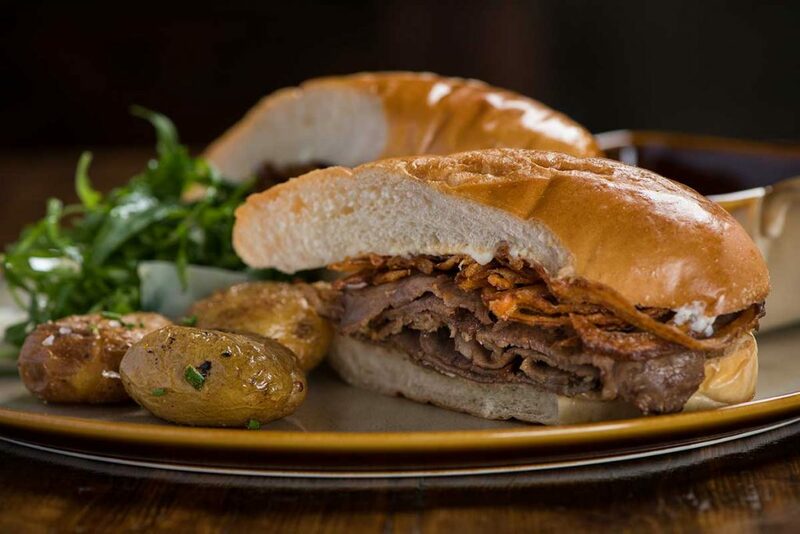 French Dip (¥88) – thinly shaved New York strip loin on an Italian roll with horseradish sauce and crispy onions, and comes with a side of gravy. Dip, bite, and double dip. Apparently it’s a California thing. Definitely have to drop roujiamo 肉夹馍 into this list. A roujiamo is essentially a Chinese pita-pocket. 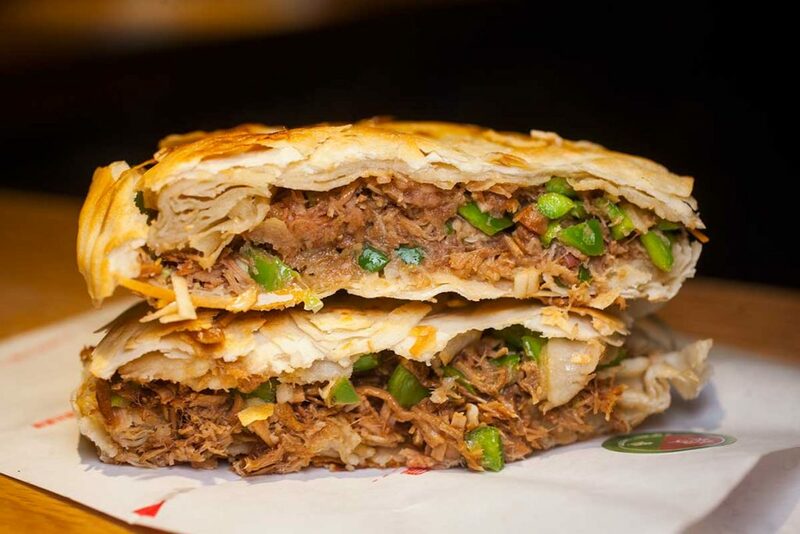 Originally from Shaanxi Province, this street sandwich is found all over China. Xian Mo Roujiamo (鲜馍肉夹馍) is a hole in the wall that I usually order from. The bread is crispy on the outside with a doughy center, and is packed with juicy, shredded meat. Roujiamo here is available as fatty pork belly (¥12) or lean meat (¥15) with green peppers. Yo… there are so many places with excellent sammies. If you have a recommendation, please leave a comment below! Yeah but F Tock’s for what they did to Brian.